According to Wikipedia, Ikat is a dyeing technique used to pattern textiles that employs a resist dyeing process similar to tie-dye on either the warp or weft fibers resembling tribal print. This print can be spotted everywhere from home decor to fashion. Being that tribal prints have been one of my top trends for a couple years now, I figured why not dupe this design on my nails. It was quite simple and super repetitive, as compared to other intricately patterned tribal nail art. Click photo above for this video tutorial. Ikat prints are vastly varied, yet always repetitive within one garment. These pieces range from the pricey Alexander McQueen to the bargain friendly TopShop. 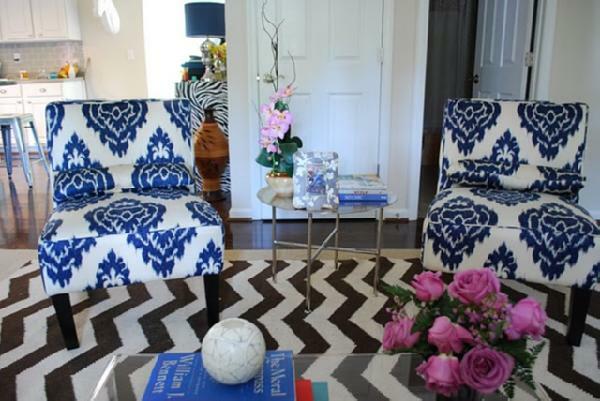 Ikat Home Decor: My inner designer is making an appearance (I like to think I was one in a former life lol) and spied gorgeous Ikat accented rooms. And look what I found in my own closet! Ikat pillows I copped from none other than World Market a few seasons ago during their F&F sale. I had no clue of the type of print when I purchased. I just knew I liked it! What trends have you noticed crossing the lines between home decor and fashion? westNDNbeauty, a native of Tortola in the British Virgin Islands, currently lives in Atlanta, GA. She loves all things creative and beauty-related, and uses her blog as a platform to talk about such. Ms. West also offers informative editorials, inspiring style and beauty tips for the culturally conscious fashionista on a budget. Oh my goodness the nail art! I could only hope to be that talented! I am very much a fan of this print. The nails and the black and white dress: absolutely bomb! This blog has my attention. 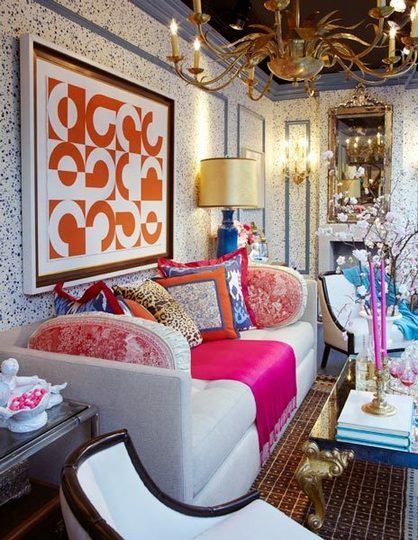 I gravitate towards urban posh tribal chic. PLEASE feel free to check out my dressmefab. I would like your comment on the nail art.